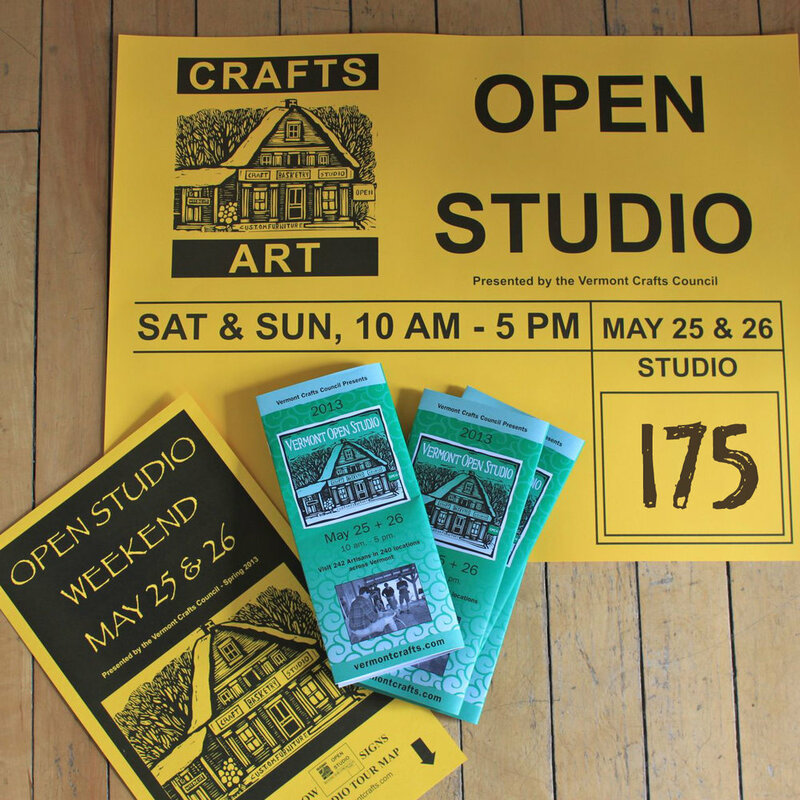 Save the date: our Holiday Open Studio and Sale : December 6th & 7th, 11am to 4pm at our place. 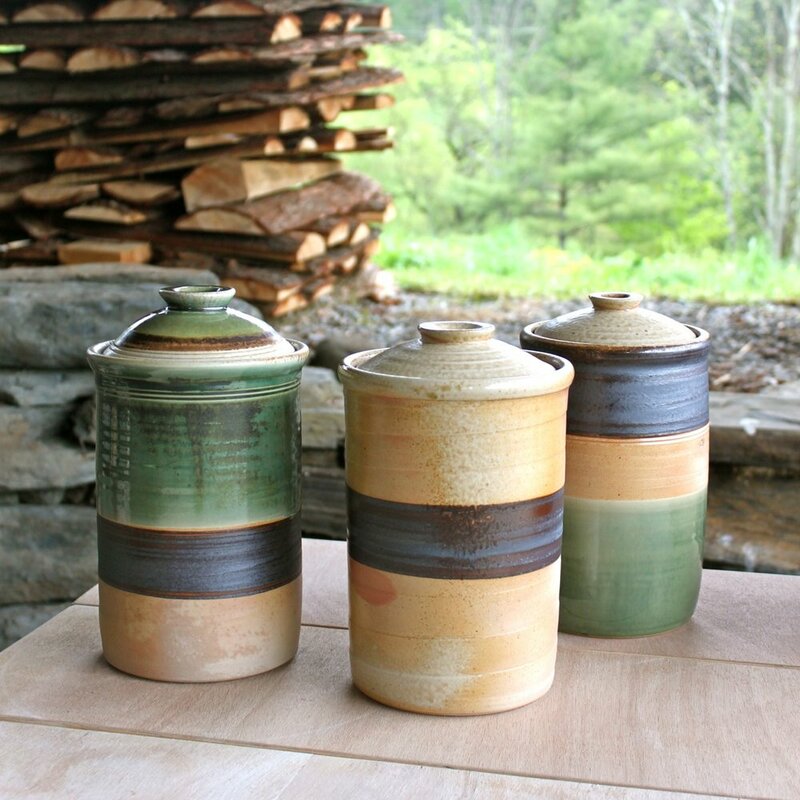 We'll have a great selection of new wood-fired work from our fall firing - including gift ideas like fermenting crocks, butter keepers, coffee and tea mugs, mason jars, and serving bowls for holiday get-togethers. As per usual, it'll be a chance to tour our kiln if you haven't been here before, and get some deals on discounted pottery. See you then! And if you can't make it to Vermont, we'll be posting new work in our Etsy shop in the coming weeks. Stay tuned for an announcement on that! Our biggest show of the year, Sunapee, was a huge success. It was fun and exciting to see and hear the responses to our new work, including our fermenting crocks, mason jars, and our new chalkboard glaze prototypes. It's hard to believe, but the once full kiln shed shelves are nearly empty now! There were 1018 pieces in that kiln (!) . . . so nice to think of all the kitchens and homes that made space for our new pottery . . . There are, however, some really nice pieces still here in our home studio shop. We hope you'll give a call or an email if you'd like to visit. We've also listed a great selection of new work in our online shop. Have a look. Again, many thanks for a great summer! We're happy to be offering free shipping on orders over $95, and wrapping your gifts free of charge - just add this item to your cart when you check out. Thanks for giving handmade gifts!